The newly appointed Resident Minister, Northwest Region, Haja Isata Abdulai Kamara has ended a jam-packed three-day tour of duty in her new region. 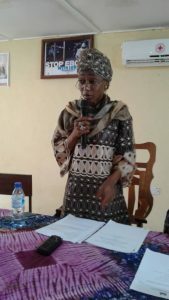 She started her tour proper on Monday 29th May in Port Loko City, where she chaired and delivered an address at the Launch of the Gender Sensitive Regional Land Oversight Committee which has been tasked to do a review of the National Land Policy. Making the Keynote address before declaring the meeting open, Madam Kamara said that she is fully aware of the issues related to land ownership, access, and distribution in the region. The Minister assured all that the Government of President Julius Maada Bio will go the extra mile to ensure that they implement the National Land Policy as provided for in the Act. She also called on the members of the Regional Oversight Committee to utilise the platform well and adequately address the challenges that have been plaguing land ownership and distribution in the region. 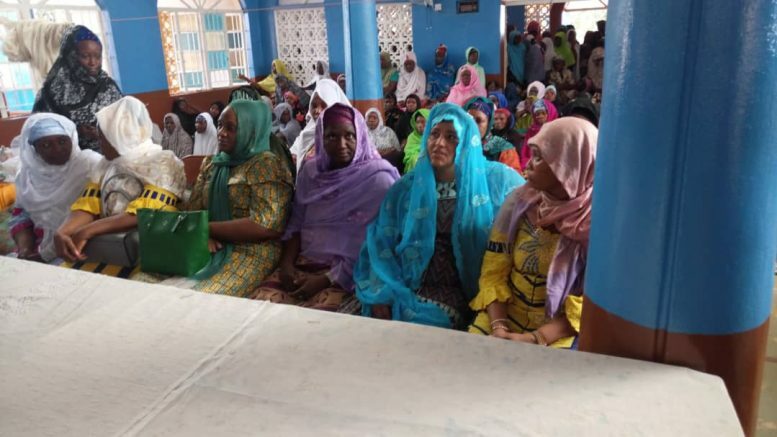 To show her commitment to the process, Madam Isata stayed to attend the meeting proper, where she had the opportunity to reiterate her commitment to ensuring women have equal access to land and productive resources in the region to thunderous applause. The energetic Minister had on the previous day, Monday 28th May, paid a courtesy call on the resident Paramount Chief of Port Loko, PC Adikalie Mella. In welcoming her, the chief of all the ruling houses in Port Loko said he is delighted to have the Resident Minister honor him with a visit, the first by a woman of her caliber in the history of the District. Chief thanked her for being the extension of the President’s new direction in the new Northwest Region. He added that Northwest is a strategic region full of challenging and good people, but he is of the strongest conviction that Madam Isata’s appointment will make a massive difference to the male-dominated mindset of leadership in the North. 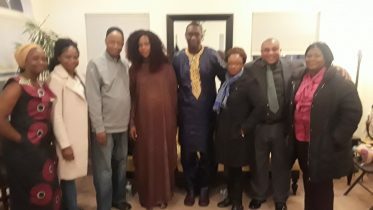 In another development, Haja Isata Kamara met with a high-powered 8-man delegation from Batkanu, including, the aspiring Paramount Chief of Makerembay-Mafonda section, Mr. Moray Kandeh Kargbo and the women’s leader Ya Mamadi Sesay, who had come to visit the Resident Minister and appeal for her unfettered support to their region. Edward Koroma aka junior Konto, the Organizing Secretary, spoke at length about the challenges they have, which include bad Roads, lack of schools and unapproved teachers. He said the ten years of APC rule had eroded all of what Batkanu had to offer and they hope the Minister would help them to tap into their Agricultural potential and utilize the fertile land that blesses their region. The Women’s leader, Mamadi Sesay, spoke about the market which is yet to be opened and reported that they still have APC elements in their community who want to continue to control the affairs of community management and undermine development. The highlight of Madam Isata Kamara’s visit was when she was asked by a delegation of the JMB Women, Sierra Leone, to join them in the distribution of food and none food items to Muslims who are observing the holy month of Ramadan. In presenting the charity (zakat) in Kambia central mosque also known as Ibrahim Njai Masjid and Port Loko central mosque, the Resident Minister thanked the people of Kambia District for their warm welcome. In attendance were Mrs. Ann Marie Harding, Deputy chairperson, Mariam Musa PRO, Fanta Rogers, Deputy PRO, Mrs. Samba, member, Mrs. Judith Porseh, member, and Mrs. Isatu Jalloh member. The district imams thanked the Julius Maada Bio women, Sierra Leone and prayed for good health and prosperity to prevail. – A cash donation of Le 2,000,000. Meanwhile, the Resident Minister is back in Freetown for final preparations for her last and grand return to Port Loko where she will be resident for the rest of her five-year term. 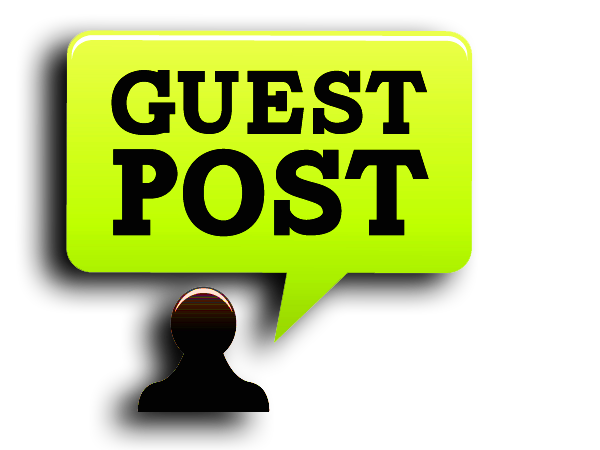 Be the first to comment on "Northwest Region Resident Minister Ends Whirlwind Tour"